Now it’s that time when you should start looking for a new and cool jacket cause fall is almost here. You have really a huge choice, so let’s find out more about various types of them and some ways to combine them with other clothes. 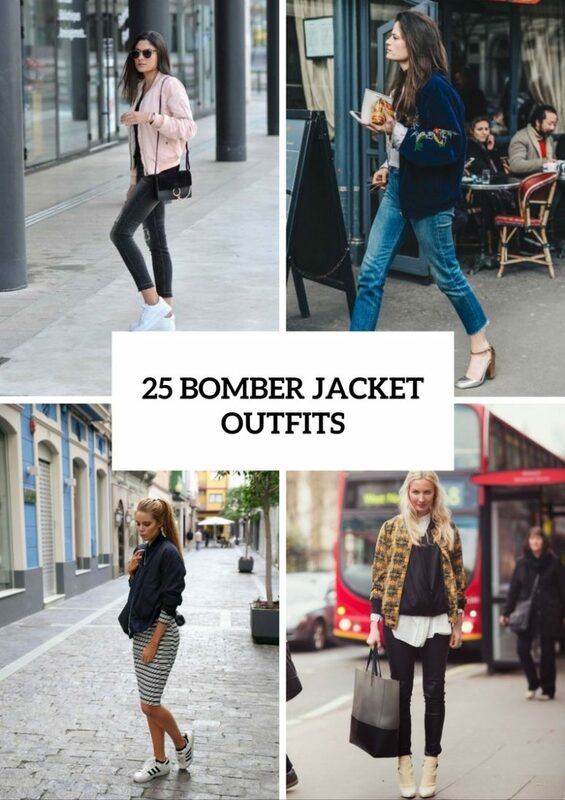 Today I’ve prepared fashionable ideas of wearing one of the most popular jackets among fashionistas — bomber jackets. So if you’re ready to add some sporty chic to your looks, then you totally need to read this article. As usual, originally a bomber jacket was a military men piece of clothes, but today it’s a part of a popular culture and you can see it almost in every fall or spring season outfit. Of course, you can pick up a classic bomber jacket in monochrome color palettes, for example, black, white or olive green ones. But you can create bold clothes combinations choosing printed ones (floral, geometric, etc.) or in bright color palettes. For more classic looks try to pick up jackets from leather or suede, but for more girlish and casual ones — jackets from satin with embroidery details and velvet. 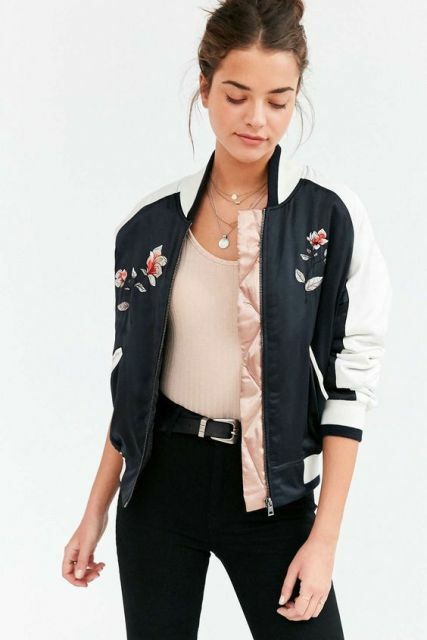 If you wanna create sporty outfits, then combine this type of jackets with skinny jeans, slip-on sneakers, a simple white t-shirt and backpack. 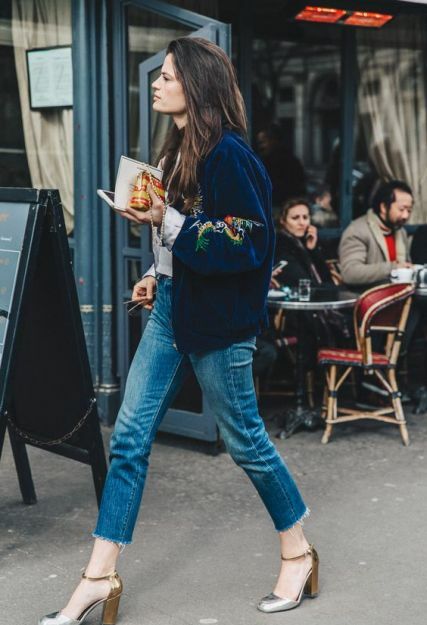 To make this outfit more feminine and casual, change sneakers to ankle boots and a backpack for an elegant printed clutch. Try to experiment with fabrics and mix a satin jacket with leather pants and a knitted scarf. 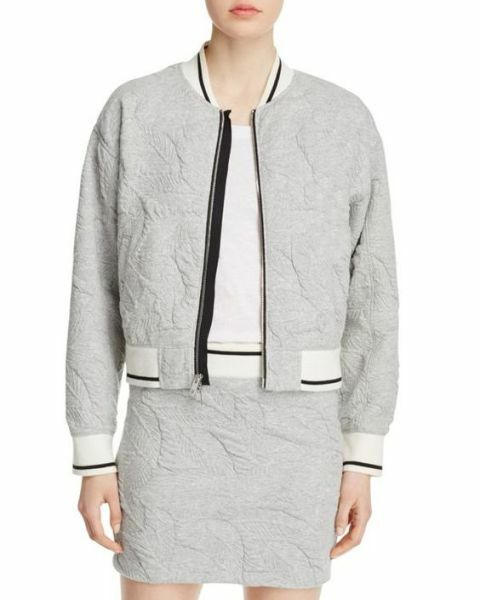 Don’t be afraid to pair a bomber jacket with dresses and skirts, they look ideally together! No matter what type of skirts (skater, pencil, trumpet skirts and others) and dresses ( straight, A-line, wrap, etc.) you’ll choose, a bomber jacket is always a great addition to them. Now take a look at pics below. And get inspired!